Rob is about 6 ft tall which gives a good estimate of the dimensions of the ancient Indian rock symbols. The meaning of the symbols is unknown and probably always will be. The ancients who left these markings had no written word. 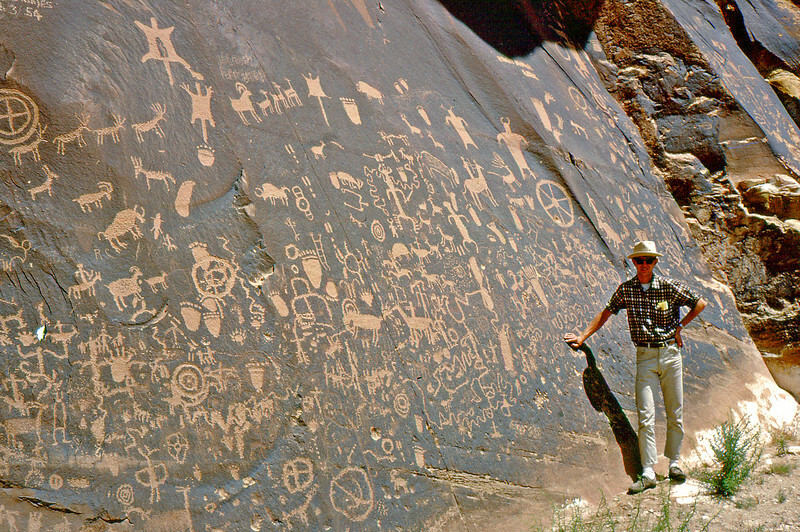 Newspaper Rock is on the way into Canyonlands. This photo was taken back in the early 70's long before railings had been constructed to keep visitors a safe distance from the rock face.